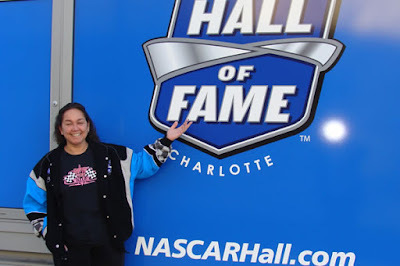 NASCAR Race Mom was saddened to learn that the NASCAR Hall of Fame fell victim to the oft-times violent Charlotte Protest. The protests in downtown Charlotte, North Carolina were prompted by the death of Keith Lamont Scott at the hands of police. Scott, the father of seven, was shot and killed in a confrontation with officers on Tuesday. Sadly, one protester was shot (apparently not by police) and taken to the hospital with life-threatening injuries. The Police deployed tear gas and shot powder-filled paintballs in an effort to control demonstrators. It has been reported that HOF windows were shattered and that signs were hanging through glass at the $195-million-dollar museum. Fortunately, the looters apparently failed to get inside the Hall of Fame and its prized exhibits. NASCAR Hall of Fame: The NASCAR Hall of Fame opened in 2010. A total of 35 NASCAR related individuals have been inducted into the NASCAR Hall of Fame. Twenty-seven were inducted as drivers, eighteen of whom were inducted solely as drivers. The other nine were inducted for their accomplishments as both drivers and owners or broadcasters. Three were inducted for their roles as owners in the sport. Three were inducted as promoters of the sport. Two members were inducted as crew chiefs.